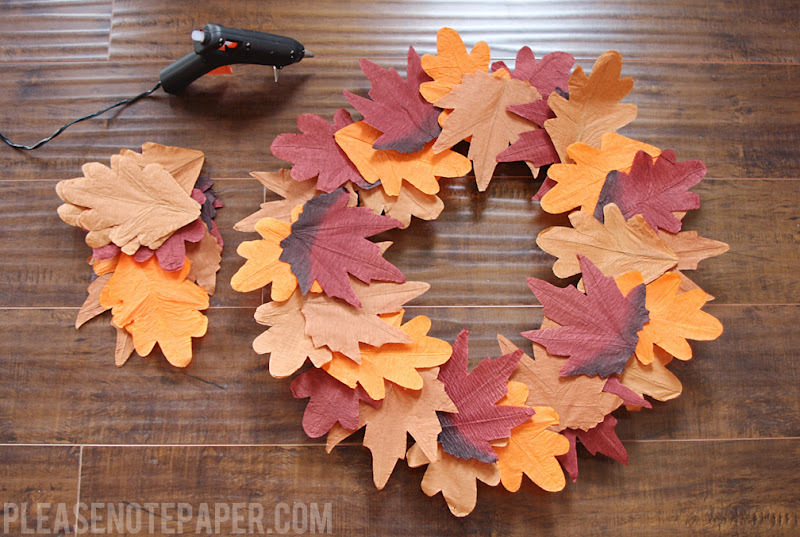 I wanted to make a fall wreath using real leaves but it doesn't feel or look like fall at all around here! So... I found these paper leaves at the dollar store instead. 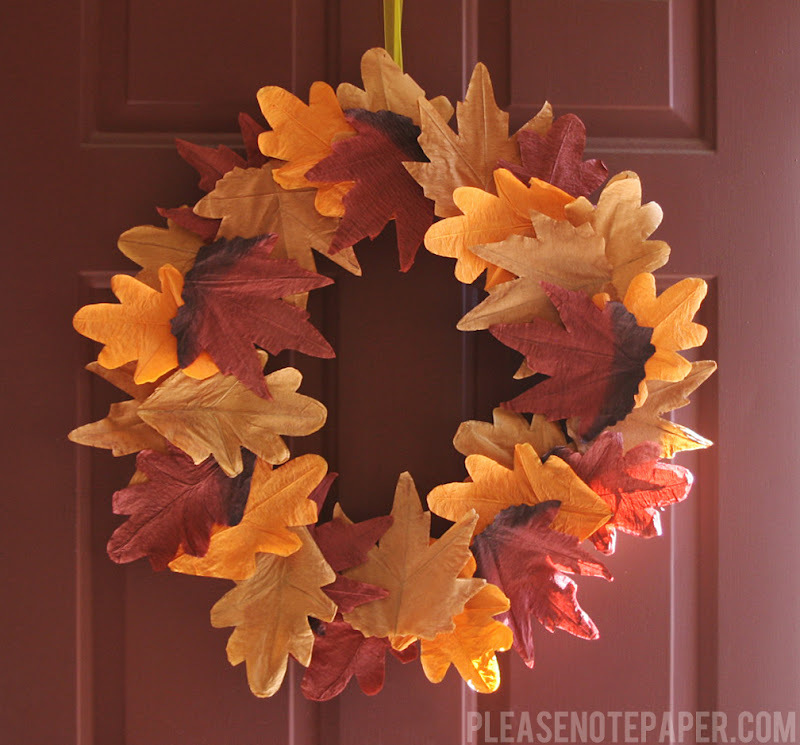 I'm actually happy I used these because they're pretty sturdy and I can re-use this wreath next year too. I'm not going to do step-by-step instructions for this DIY because it's pretty self explanatory. I simply cut the wire stems off of the leaves, arranged them on the wreath and hot glued them on. Simple as that! 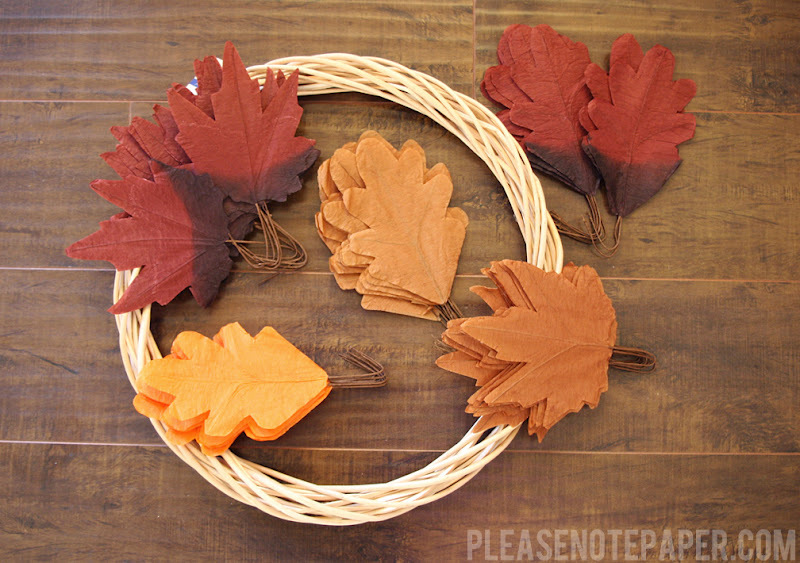 These leaves would also look great as part of a yarn wreath. I might use this color yarn and a few of the leftover leaves to make a wreath arranged similar to this. The possibilities are endless! Those paper leaves are so neat! Aren't they?! So much easier than making your own too! Which dollar store did you get the leaves from? I got them at Dollar Tree. I hope I can find similar leaves at my $1.00 store. Great Wreath., colors, shapes...could use a bow maybe...lovely anyway. If not, I saw them today at a local drugstore in the Halloween aisle!